In a labour–education market system, there are many individuals and firms with adaptive behaviour. 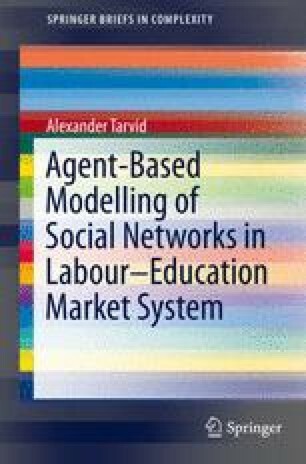 As we have seen in the previous chapter, networks are prevalent in LEMS and play an important role in many decisions of its actors. Thus, LEMS can be analysed as a complex adaptive system (CAS). Agent-based modelling (ABM) is typically used for such purposes, and the next chapter will dig into details of various ways of applying ABM in modelling LEMS. To be ready for it, we first have to understand the motivation behind and the details of this method. This is what will be discussed here.